The team at Manbi is made up of dedicated, passionate snow men and women. In their words, "Whether you are pulling cab 9's in the park, hiking up to the peaks in search of some fresh powder or following groomers on the piste we aim to give you the gear that will help you make the most out of your time in the mountains. 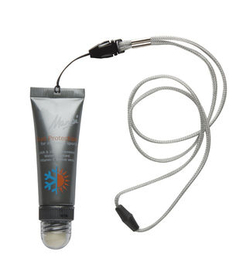 "It was an easy choice for our winter sun protection, this really is a slopes or apres ski travel essential.